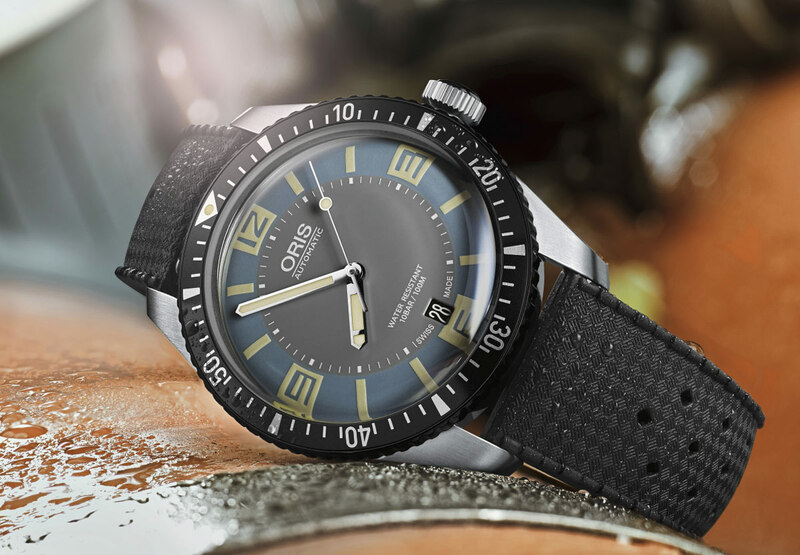 At Baselworld 2015, Oris introduced the Divers Sixty-Five, a diver’s watch with a retro look directly inspired to a model of the brand that was created in 1965. Oris has now presented a second version of the model, the Divers Sixty-Five "Deauville", characterised by a two-tone grey and light “Deauville” blue dial option. The light blue colour is lifted straight from the 1960s, and particularly from the cars, clothing and interiors seen during the period in one of its most stylish resorts, Deauville on northern France’s Normandy coast. Dial apart, the new model shares the same case shape and bubble-curved sapphire crystal of the black-dialed version. 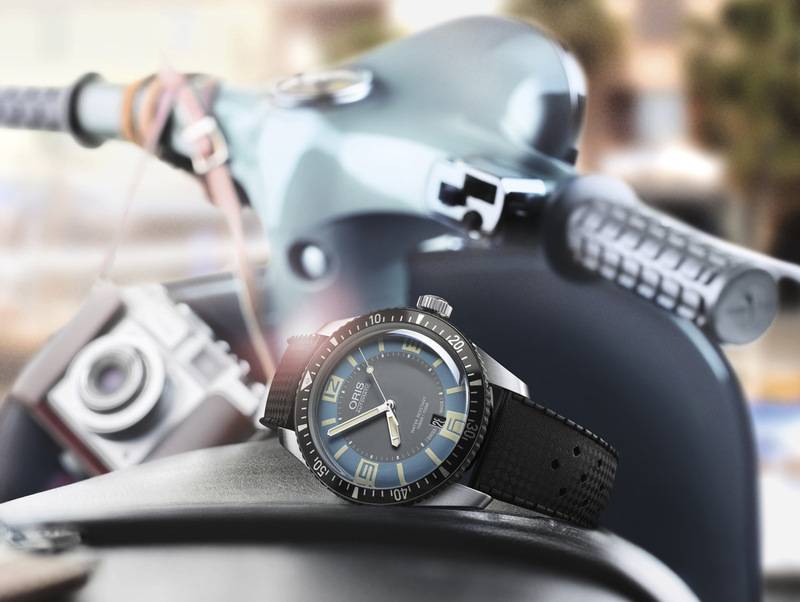 The 40 mm case is water resistant to 10 bar and features a diver’s unidirectional rotating bezel with black aluminium inlay with 60-minute timer and zero marker filled with Super-LumiNova. 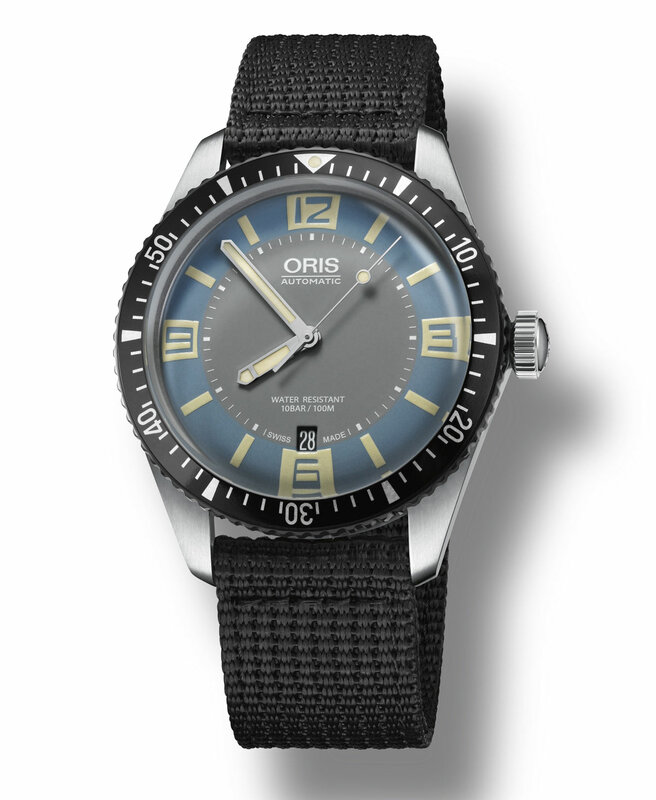 Numerals, indices and hands are also treated with the luminescent material. 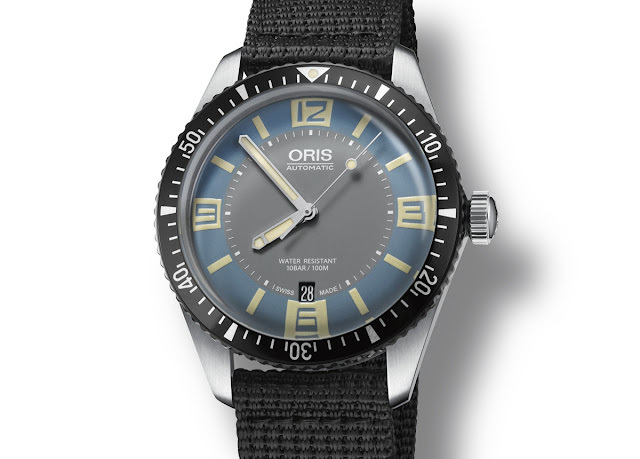 The automatic movement Oris Calibre 733 is based on a 4Hz (28,800 vph) Sellita SW200 - which powers the hour, minute and central second hands and a date function at 6 o’clock. 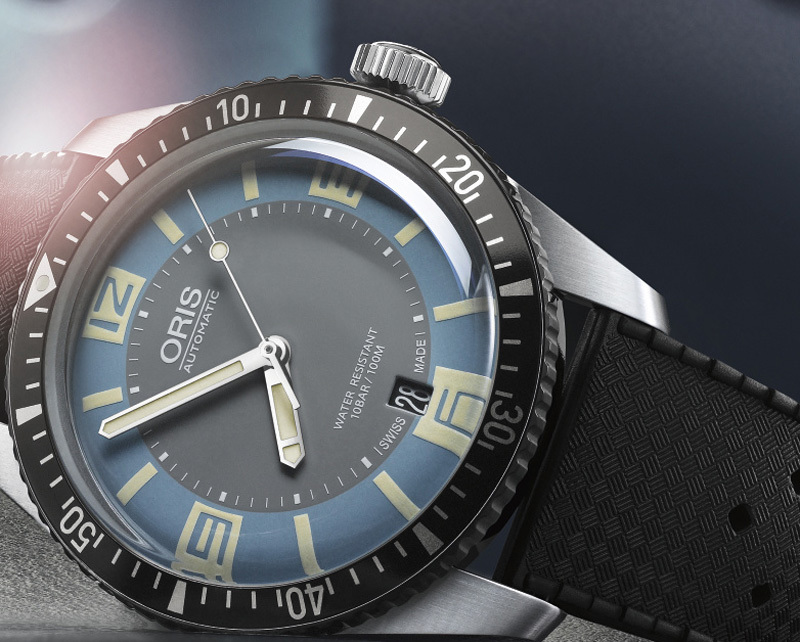 Time and Watches: Oris - Divers Sixty-Five "Deauville"
Oris Divers Sixty-Five "Deauville": Oris has presented a second version of the model, the Divers Sixty-Five "Deauville", characterised by a two-tone grey and light “Deauville” blue dial option. Like the first version, the Oris Divers Sixty-Five "Deauville" (ref. No. 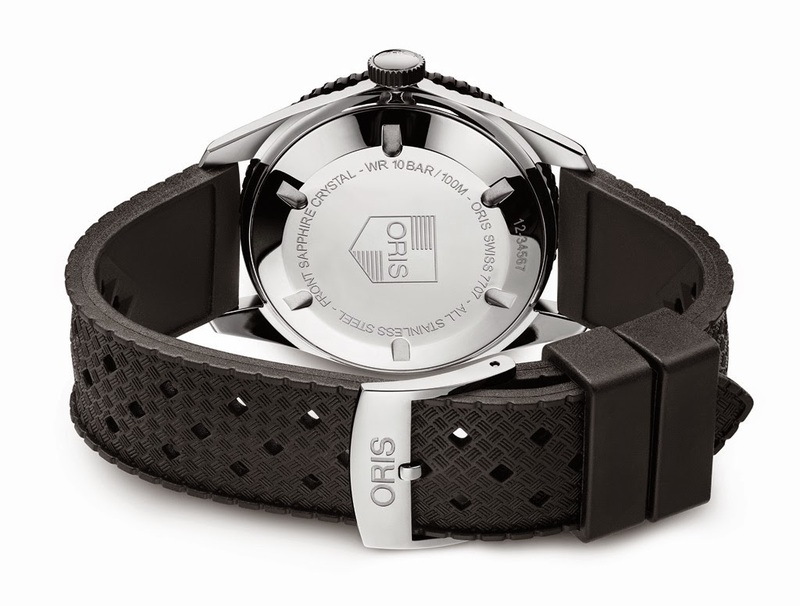 733 7707 4065) has a price of Swiss Francs 1,750.